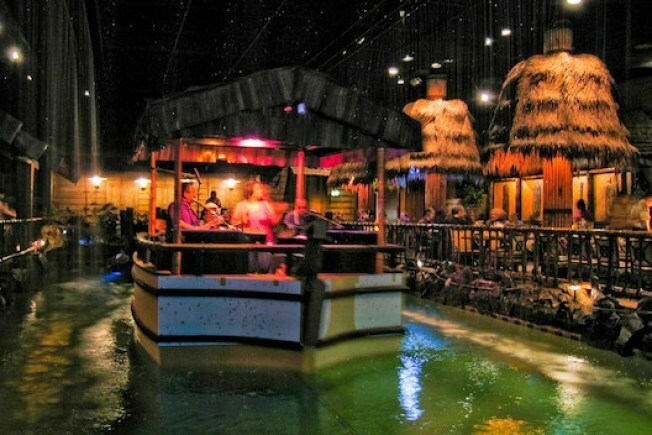 More on the Tonga Room, the issue — and bar! — that just won't die. Wednesday the still-young Historic Preservation Commission officially took up the problem of the "historic" bar, which the Fairmont Hotel owners are planning on kicking to the curb amid construction of a new residential tower in place of the existing hotel tower. A full assessment of the project had previously raised a couple recommendations for saving the Tonga — both involving packing up the tiki huts and assorted kitsch and reassembling it in the new building. But as reported just a couple weeks ago, owner Maritz Wolff & Co. isn't too keen on the idea. Turns out the Historic Preservation Commission has qualms about it too — not only does the Tonga Room not have any particular "visual, programmatic, or qualitative connection with the classic Beaux Arts building" (says the project architect), but it's also not pulling in any money. Said a commissioner: " We're moving into dangerous territory to tell someone when they have to stay in business. ... The first steak house in the city can never be touched? We're going too far." But! Should some enterprising tiki bar lover want to put his or her own skin in the game — one commissioner said she didn't see any reason why the Tonga Room couldn't be purchased and moved elsewhere entirely.